The cause was complications of diabetes, his son Joseph A. Colombo said. Mr. Colombo was a 26-year-old military school graduate in 1971 when he helped persuade the producer of “The Godfather,” the sponsors of the network television series “The F.B.I.” and even the Nixon administration’s Justice Department under Attorney General John N. Mitchell to expunge the term Mafia and its Sicilian counterpart, La Cosa Nostra, from the screenplay, weekly scripts and official lexicon. At the time, Mr. Colombo later said, his power of persuasion was derived from his position as the vice president of the Italian-American Civil Rights League, the anti-discrimination group founded by his father, the organized crime figure Joseph A. Colombo Sr.
Had the Mafia withheld its unofficial blessing from the film, any number of unexpected impediments might have interfered with the production of “The Godfather,” like labor troubles, missing scenery or even missing cast members. The Mafia was mentioned dozens of times in the Mario Puzo novel on which the film was based. The TV series “The F.B.I.” sanitized future scripts after Mr. Colombo contacted Lee A. Iacocca, the president of Ford Motor Company, which was one of the show’s sponsors. The league also lobbied against other stereotypical portrayals, like an Alka-Seltzer commercial in which a man says, “Mama Mia, that’s-a some-a spicy meatball.” And it claimed credit for hampering production of The Times for one day by blocking delivery trucks, all in an effort to discourage the paper from making indiscriminate references to the two Italian terms for organized crime. Anthony Edward Colombo Sr. was born in Brooklyn on Feb. 25, 1945, to Joseph A. Colombo Sr., who described himself as a real estate broker, and the former Lucille Faiello. Anthony grew up in Orange County, N.Y., in the Hudson Valley and graduated from Valley Forge Military Academy in 1965. In addition to his son Joseph, he is survived by his wife, the former Carol O’Brien; another son, Anthony Jr.; two daughters, Lucille and Cristine Colombo; four grandchildren; his brothers, Vincent and Christopher; and his sister, Catherine. Joseph Colombo was gunned down at a Unity Day rally in Columbus Circle in Manhattan on June 28, 1971, in what Anthony later suggested was a conspiracy by law enforcement. The elder Colombo, who never completely regained consciousness and died seven years later, insisted publicly that the Mafia was a myth. Anthony sued WCBS-TV in 1971 (and later settled for undisclosed terms) after he was identified as a reputed member. In 1986, though — “to save my family and four children the agony” of a trial, he said — Anthony pleaded guilty to a federal racketeering conspiracy charge that involved running an illegal gambling club. His plea agreement included a 14-year sentence. 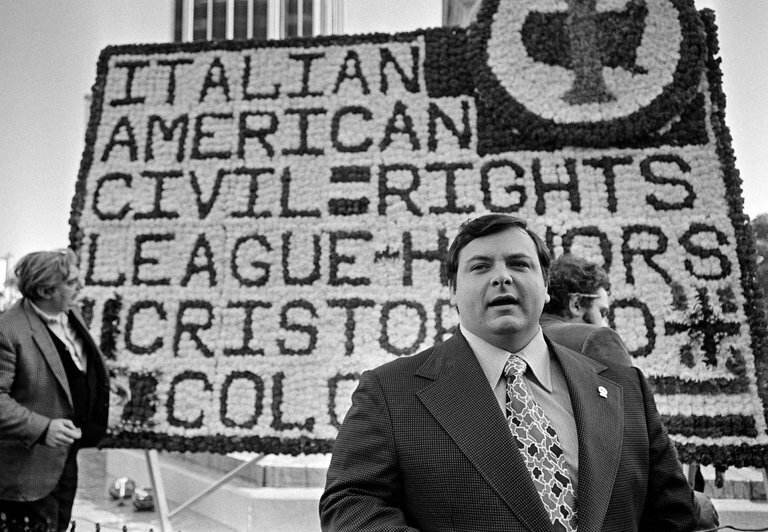 After his father died and the Italian-American Civil Rights League largely faded from public debate, Anthony Colombo owned or operated catering halls, dry cleaning businesses and construction companies. “Colombo: The Unsolved Murder” (2013), written by Don Capria in collaboration with Mr. Colombo, offered an explanation of why Mr. Colombo had embarked — reluctantly, the book said — on a criminal career himself after his father’s death.